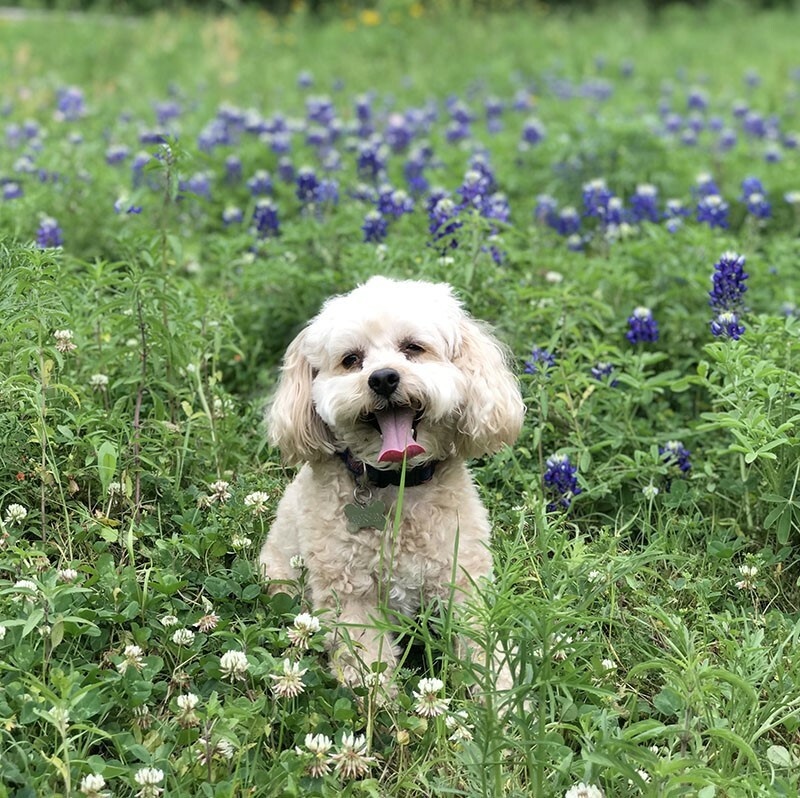 The McQueen’s dog Birdie briefly cooperated for a photo in a bluebonnet patch along Terry Hershey Park. This past Sunday, my family and I took a nice long walk along the beautiful trail at Terry Hershey Park. If it’s early evening, we typically head east, so we are not walking directly into the sun. It was morning, so we headed west when we entered in Wilchester West through one of the gates at the south end of the neighborhood from the street Yorkchester. We had our first bluebonnet sighting that morning in Houston of the short but beautiful season. If you’ve never walked along this beautiful trail, you need to head there and check out one of Houston’s best gems. It is full of lush nature, big trees, and has a concrete path for bicycles, strollers, runners and walkers or a dirt path that’s a little further north. Our children are small (all three are under 4), so we can’t get too far before they start whining to go home. We brought our two small dogs, Birdie and Toby. Birdie and Toby are both about 10 lbs. each, so a long trek is difficult for them too. We had been walking for about 20 minutes and were just about to turn around when we came across a patch of bluebonnets, just before crossing over Kirkwood coming from Wilcrest. You can’t miss them. I snapped a quick photo of Birdie, panting from the walk amongst the beautiful scenery (but her pant looked like she was smiling!). My kids were tired and fussy, so I decided not to try and photograph them but took a photo of her instead. Toby was too excited to sit still. I took what I could get. This small patch of bluebonnets reminded me of the article I wrote for the March issue of The Buzz, Smiling in the bluebonnets. The patch I found was dispersed and small, but if you get the right angle, it can look like Washington County. Where are your favorite Houston bluebonnet patches? For more on where to find bluebonnets in Houston, read Bluebonnet Sightings in Buzz Neighborhoods by Karen Vine Fuller. 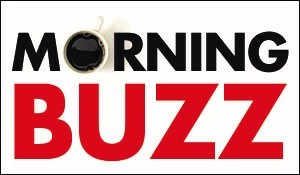 And be sure to read this month's Buzz Baby including babies and bluebonnet photos.